My husband and I love travelling and we didn’t want to put a full stop to what we love just because we have a baby now. 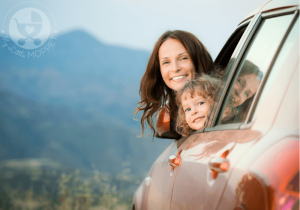 Instead what we did was to inculcate that beautiful idea of travelling in our child right from the beginning. At 3 months we took our daughter to a local Mumbai city tour, at 5 months it was Kotayam, at 7 months a vacation to Coimbatore and some temple towns in the South, a weekend holiday to Lavasa at 9 months, Delhi at 1 year and then she was all set for her first international tour to Muscat when she was 14 months. Today, she absolutely enjoys travelling. 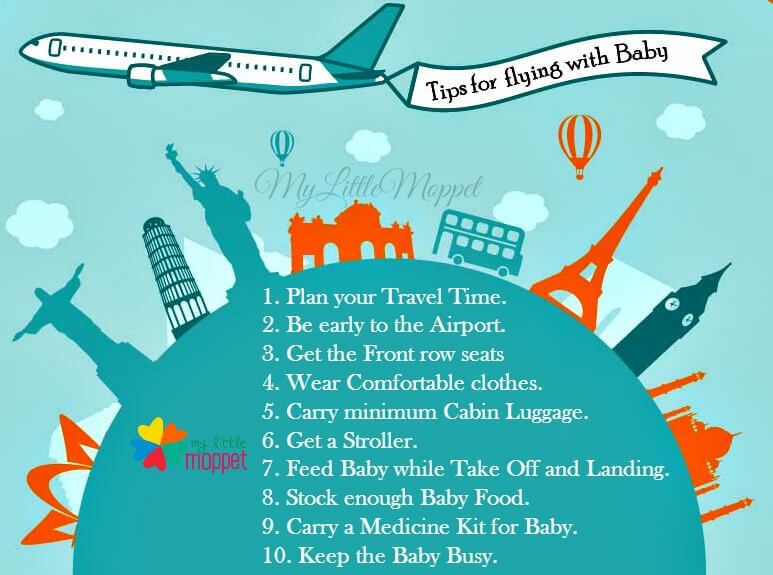 Discussed here are simple tips for flying with a baby that I followed. When flying with a baby, try to time the flight timings with the sleep timings of the infant so that you all have a good flying experience. Now this was a golden rule which I always followed but I messed it up in my last trip when my daughter fell asleep for a good 4 hours in the afternoon and we were flying at night. The entire flight she was cranky as she wanted to get down. Thank god it was just a two and half hours of horror. But on my return to India I ensured I didn’t repeat the same mistake and distracted her the whole afternoon and at night she slept through the flight. While flying with a baby it’s always better to reach a little early and check in leisurely. This will help you avoid huge queues. If the flight is not full, most airlines block a seat for the infant thereby ensuring a good flying experience. Additionally, if you are on a long flight, please check if the flight provides bassinet and book in advance as these are provided on first come first serve basis. You can also ask for assistance from the ground staff who will help you complete all your formalities if you have your hands full. Getting a seat right at the front of the airbus is a good idea as the ride is smoother here and the child is bound to experience less or almost no inconvenience. Additionally, a nursing mother can always request for a seat in the first row by the window giving her the much required privacy and the leg space to keep her baby calm during the flight. If you are feeding your child, wear loose comfy clothes, preferably ones that have front buttons. Additionally a stole or a shawl is always handy when flying with a baby. A set of change of clothes for both mommy and the kiddo is recommended. While flying with a baby or smaller children, try to carry minimum cabin baggage as managing everything simultaneously will be difficult. Most airlines permit 7 kgs for infant that can be either managed as check in or cabin baggage. You can always check with your airlines before travel and pack accordingly. Investing in a stroller as opposed to a pram is a good idea when flying with a baby. You can take the stroller right till the steps that lead to the aircraft. The stroller isn’t considered in the baggage allowance. It’s collected by the airline staff at the entrance of the aircraft and on arrival is given to you immediately after you alight from the flight. This was very helpful for me particularly in my last travel as we landed from Muscat at 2 am and my daughter who was sleeping could easily be managed. Strollers are also available on hire at most international airports. Feed the baby while takeoff and landing. Usually, the flight staff shall brief you will all the necessary instructions when flying with a baby/ infant. If the baby is refusing to take milk, water, sugar and candy are also good options. The idea is the sucking action helps the baby relieve itself from the ear blockage that can lead to ear pain because of the air pressure. Most paediatricians also prescribe ear drops and medicines for the kid for a longer duration of flight. It is in the best interest of the child to consult the paediatrician before administering them with any medicine. In case the child sleeps during takeoff or landing, then please don’t wake him/her up and force feed. Sleeping is a natural way to overcome the problem. 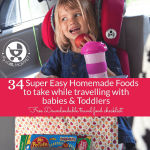 It’s a good idea to take enough baby food in the flight if the number of travelling hours is going to be long. Airlines allow carrying water bottle for the baby, so carry enough boiled water with you to make that formula or cerelac at meal time for the child. 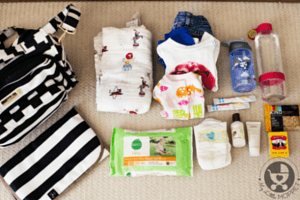 Additionally, always stock enough diapers, bib, wet wipes, hand sanitizer (100 ml), thrash bags. Carrying a sweater and a cap is a must. Before travelling get a complete check up of the baby and get a list of medicines to carry for your vacation from your paediatrician that can act an SOS in case your child in unwell. While flying with a baby, carry medicines for nose block, fever or vomit that is required to be administered to the child. Carry a few baby books that the baby loves, toys, crayons and paper sheets and a few games that will keep them engaged. I am Anuradha Ramamirtham, a hands-on mother to a 16 months old daughter. 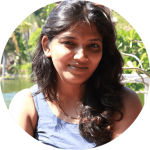 Professionally, I am a senior reporter for almost a decade now and have experience in reporting in IT, business of entertainment and currently real estate but after my baby was born I didn’t want to leave her and go to work and so presently I am a work from home mom, putting my writing skills to use. If you find this article useful , do follow us in Facebook, Twitter, Pinterest and Google+ for regular updates. 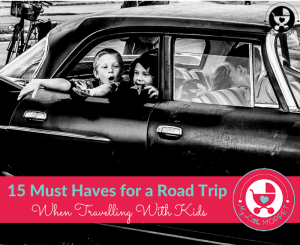 How to Travel with a Toddler Without Driving Yourself Crazy !!! 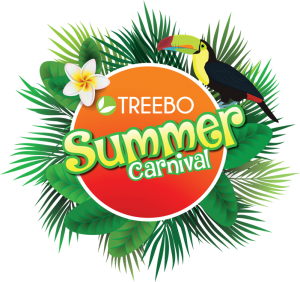 Enjoy as a Family at the Treebo Summer Carnival!